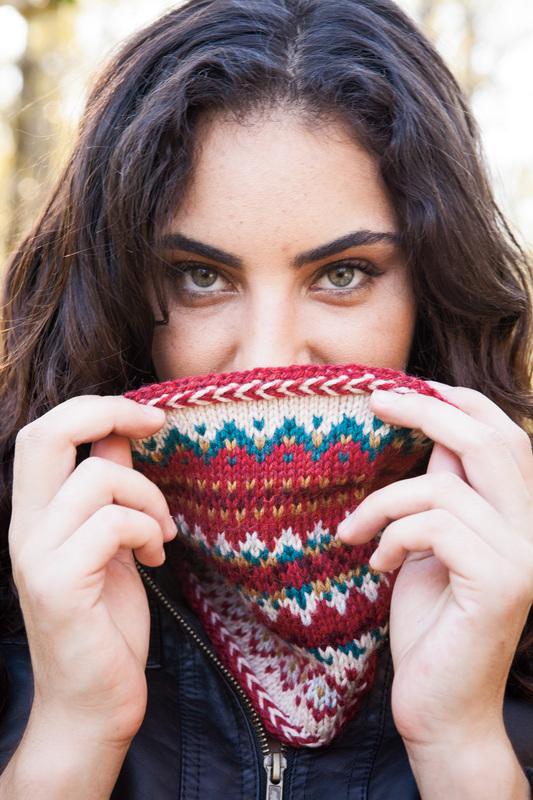 Knit Picks has just published their 2015 Fair Isle Collection and I’m so happy (& lucky) to be part of it! My contribution is Fair Isle Earflap Hat & Cowl. 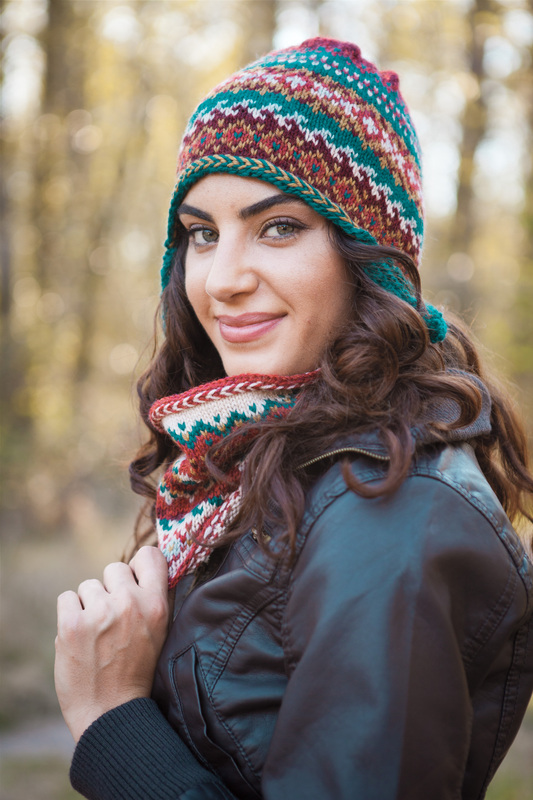 The collection has 13 Fair Isle (stranded) patterns including 6 stunning sweaters, 3 colorful hat sets, 3 fun pillows and even a set of sachets! The collection is available in printed soft cover, as a downloadable eBook, or each pattern individually, all through the Knit Picks website. I have found a new love in stranding. Because you never use more than 2 different colors on any one row, it’s easier than it looks. It keeps you wanting to knit just one more row. 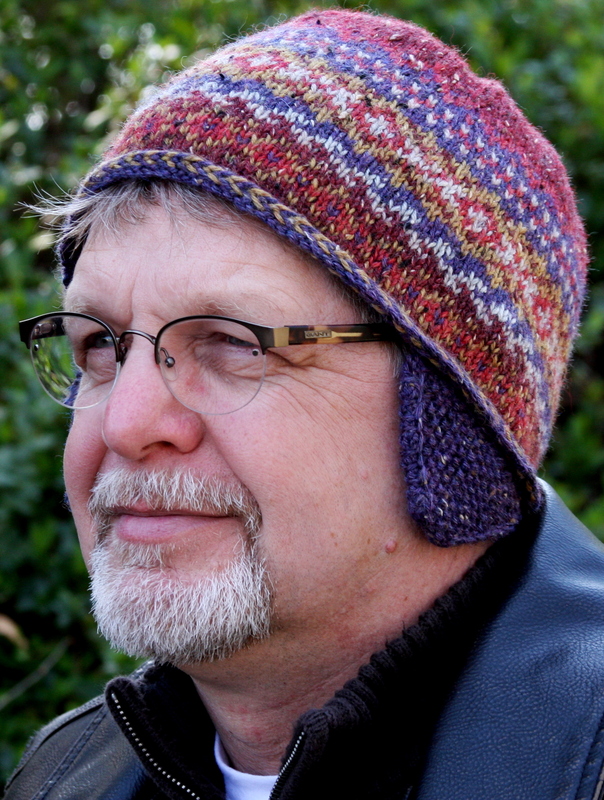 Two different color charts are included with Fair Isle Earflap Hat & Cowl for variety. Worked in worsted weight yarn, they knit up quickly.